Click on the “plus” symbol to the right of each section to expand the text and read more details. In recent years the industry’s productivity in the early stages of developing drug candidates has slowed, and pharmaceutical companies are increasingly turning to innovative, smaller biotech companies to increase the rate of development. It is in this stage of pharmaceutical development that Kancera’s strength lies. Older treatments for cancer have employed substances that are selectively toxic; they are more toxic to cancer cells than healthy cells, so side effects are a major problem. The shortcomings of today’s cancer drugs can be clearly seen in that only 25 percent of treatments are effective, which is the lowest figure of any area of therapy. The number of cancer drug projects has steadily increased, but many of these work along the same lines as others. In recent years developments have moved away from toxic substances to a new era of targeted molecular treatments. So pharmaceutical companies are setting their sights on drug candidates that stand out from the mainstream and could fundamentally change the way cancer is treated. These are exactly the types of drug candidates that Kancera is developing. The most common reasons for death from cancer include development of resistance to treatment and development of metastases (satellites of the original tumor that have spread in the body). This means that with today’s therapies – which are often initially successful – the disease can recur, and is then often more resistant to therapy. Kancera is focusing on developing a new generation of cancer drugs to combat those properties that cause tumors to recur in more malignant and resistant forms. The industry’s interest in rare diseases – known as orphan diseases – has also increased in recent times. As a result, authorities are facilitating the development and protection of products to treat these diseases. Kancera’s projects have been shown to be a possible means of treating a number of types of cancer classified as orphan diseases. Two examples of cancers where there is a need for improved treatments and which qualify as orphan diseases are pancreatic cancer and chronic lymphocytic leukemia (CLL); these are among the types of cancer being addressed by Kancera’s drug projects. Each type of cancer is a unique disease and even tumors from the same type of tissue can vary between people. Different types of cancer are sensitive to different types of treatment. Metastases from lung cancer and from breast cancer behave very differently, for example. They grow at different rates and are sensitive to different drugs. It is therefore important to collaborate with specialists for a specific type of cancer to understand current treatment, the need for improvements and the possibilities for introducing new drugs into clinical practice. So Kancera has a great advantage in its close collaboration and easy access to academic and clinical specialists from the start of a project. 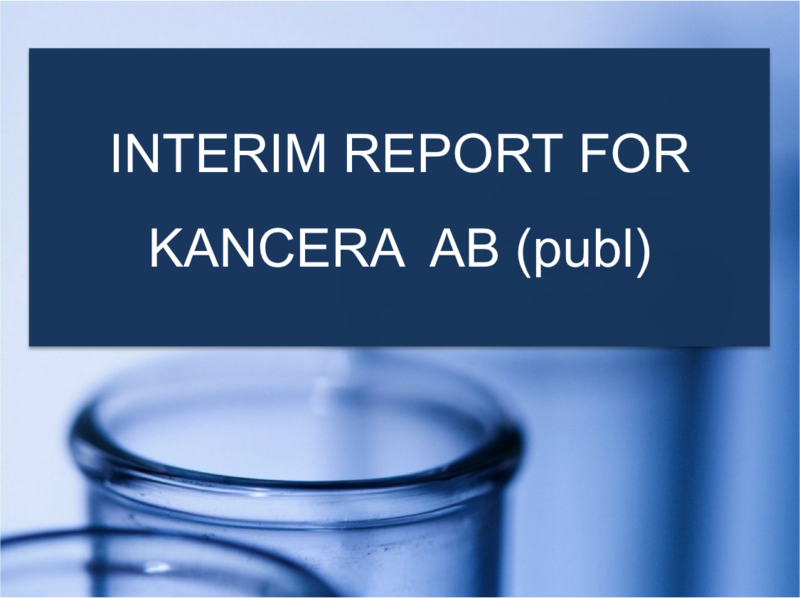 Kancera’s experience of identifying new starting points for treatment and developing suitable drug candidates is based on a combination of many years’ research at the Karolinska Institute and the tradition established by Pharmacia and Biovitrum of developing commercially successful drugs with a clear product focus right from the start. Kancera has knowledge and methods that allow the actual effect of a drug candidate in clinical preparations from patients to be demonstrated at an early stage – in the preclinical phase – with a good level of certainty.